If you spent much of your summer traveling, your makeup routine may be suffering from a case of jet lag. The abrupt switch from vacation brights to fall's neutral color palette can be a tricky transition. 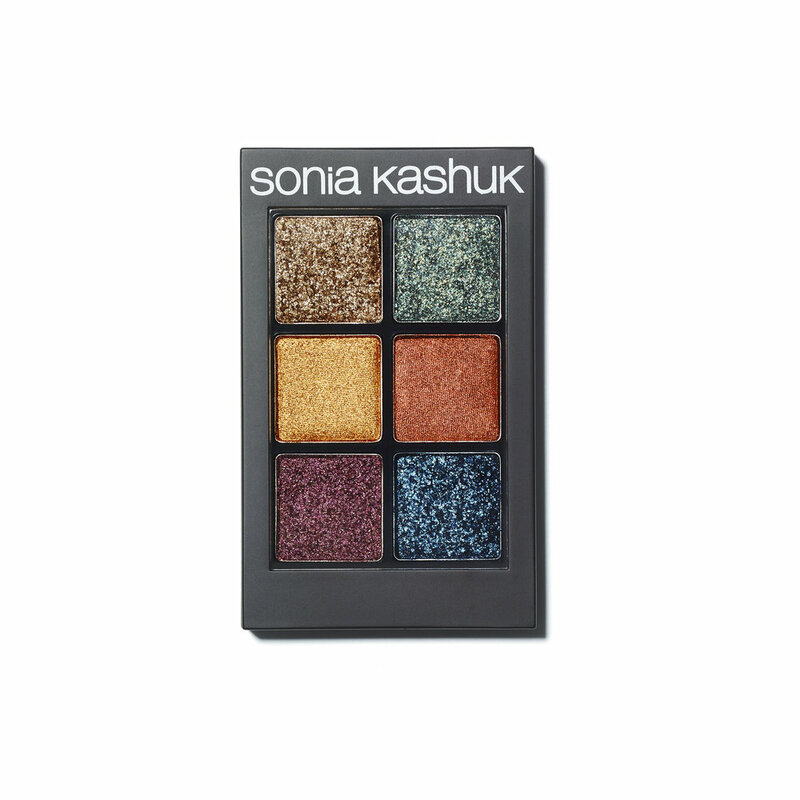 Well-traveled beauty guru Sonia Kashuk, however, looked east to liven up your fall eye wardrobe with jewel-tone shadows, inky liners, and graphic brush sets inspired by one of the world's most vibrant destinations: India. Shop our favorites from the exotic collection, here. Sonia Kashuk Instant Smoke Sticks shown here in Brown Blaze (top) and Gunmetal, do it all. One end features a rich-pigment cream shadow for creating a subtle smoky eye, while at the opposite end is a creamy liner for tracing precise cat eyes. Both formulas are smudge-proof and last up to 24 hours. This six-shade palette includes a range of shadows reminiscent of a Delhi spice market. Our favorite combo? First, apply the golden shade in the palette as a base, then smudge the emerald hue along your lash line for a unique twist on a smoky eye. Add some life to your sea of traditional black brushes with this tribal collection. Aside from the brushes' superb quality, the set of 12 will help round out your applicator arsenal without breaking the bank. Store your new treasured brushes in a matching cup for easy access. It'll give your vanity the perfect finishing touch. And if you're taking your gems to go, toss them into a brightly colored travel purse. Like the many Sonia Kashuk collections that came before this one, the line includes a wide range of the designer's signature cosmetic cases in various sizes and motifs.